Teach your child to play Go Fish if you haven't already and play the dickens out of it this week. If you don't have or can't find a Go Fish deck at the store, use a regular deck of cards & match colors and numbers. Take out the face cards; keeps it easier. You could start with a dozen matches taken out & add to the deck as the week goes on. Summer's coming so now's the time to take inventory of what games you have, restock on ones needing to be replaced, & add new ones to the collection. Other games this age loves: Yahtzee Jr., Memory, Candy Land, various 50-100 piece puzzles, Old Maid, Uno Moo or Uno Jr., War, Slap Jack, Bingo (our kindergartener loves the colors & shapes edition). Some of these games (War, Slap Jack, Old Maid, Go Fish) can be played with a simple deck of regular cards, but you could get a special deck with your child's favorite characters on it to make it extra fun. I've never gotten into some of the classics like Cootie, Don't Spill the Beans, Don't Break the Ice, Hi Ho Cheerio, Ants in Your Pants, etc. but those are more ideas for you & your little one to spend hours of game playing fun together. We're introducing Operation & Mouse Trap this summer. Wish us luck on that & have a blast enjoying these golden game playing years! To develop skill in singing simple songs by participating in singing with others on pitch. To review counting by tens to one hundred using items in the trail mix. To demonstrate & apply fire safety rules while around a campfire. To raise questions about the natural world and know that scientific inquiry can be used to seek answers to questions about it. To gather information about objects through the use of one or more of the senses, such as sight, smell, touch, and (under supervision) taste. ...Check with your librarian to see if your child's favorite character has a camping adventure book if I haven't listed it here. Set up a tent in your living room or child's bedroom. Use a flashlight to read books in it this week. Have a "sleep over" in your living room complete with sleeping bags. If you don't have real bags, you could get out or buy a king sized pillow case for your child to pretend this week. If you're able, set up a real tent in your back yard & sleep out one night this week. Play flashlight tag, tell stories, stay up late! If you'd like to register & be a part of the Great American Backyard Camp Out, sign up here. June 25 is the official date for 2016, but they say you can pick your date & still be a part of the "program". Go on a scavenger nature hike this week. List the things you hope to see on your hike before going: a red bird, a cool looking rock, a toad, a big bug, an unusual stick, a butterfly flying past, a squirrel, chipmunk, etc. Make a trail mix to take along letting your child count 10 of each for each person: raisins, chocolate chips, peanuts, & cheerios. Take pictures to capture your findings. See how many you can find that were on your list. 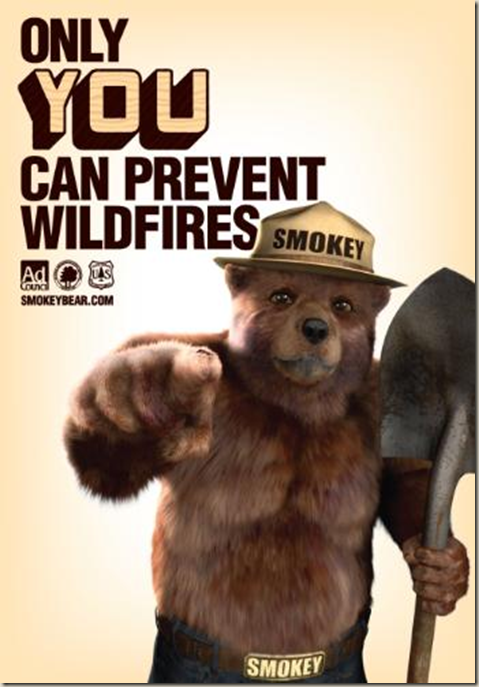 If you'd like to introduce your child to Smokey Bear this week, this link gives you some downloadable resources. This site also some games on it & looks fun, but honestly, even though this site looks great, I didn't find it overly useful. Maybe you will, so I offer it. There are a couple cute coloring pages found here & here. If you can, get the DVD of Sid's Backyard Camp Out from the library. Have a memory filled summer!